Swedish bus maker Volvo Bus Corporation has bought out its joint venture (JV) partner Azad Group’s stake in Volvo Buses India Pvt Ltd (VBIPL) for an undisclosed sum as the company responds to growing demand. 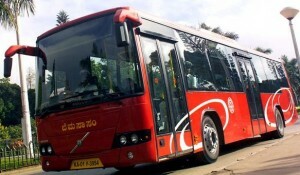 “Volvo Buses is witnessing increased demand from both private and institutional customers and this strategic move will provide Volvo Buses greater flexibility to expand and put in place ambitious growth plans in the coming years,” Akash Passey, managing director, VBIPL, said in a Business Standard report. Volvo is introducing a CNG (compressed natural gas) bus in India — production of the CNG model 8400 City Bus will take place at Volvo India’s manufacturing plant in Bangalore. Volvo Bus Corp’s Indian unit is targeting revenue of $1 billion in the next five years in the country, driven by its luxury bus segment and exports, a senior company executive said on Monday. The Swedish bus maker expects a 2010 revenue of Rs 500 crore (about $110 million), Akash Passey, managing director, Volvo Buses India, said.